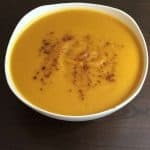 Creamy butternut squash soup is simple and easy to make. You only need to spare a few minutes to prepare and enjoy its abundant health benefits. Butternut squash is low in fat but has high amounts of dietary fiber .The fiber is necessary for quick metabolism. Their low-fat content makes them useful for weight loss. They are rich in minerals like; iron, potassium and calcium which help develop healthy bones. These minerals can prevent osteoporosis and other bone diseases from affecting the body. 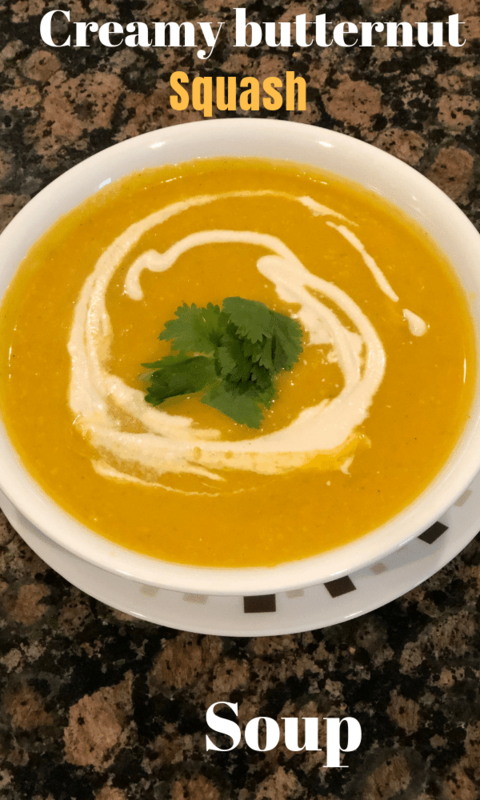 Creamy butternut squash soup has high amounts of antioxidants and vitamin B 6 and C .
These vitamins are good for healthy skin and prevention of wrinkles. The cashew cream used in this creamy butternut squash is vegan . Moreover cashews have low amounts of fat compared to dairy cream. It is an excellent substitute for dairy cream in vegan diets. Cashews are great for heart health . They have monounsaturated fat as opposed to the saturated fats in dairy cream. Cashews can, therefore,help lower cholesterol levels in the body. Wait watchers and diabetes can as well eat them without the fear of adding their weight or insulin levels. Cashews are great for heart health hence good for people with heart disease. 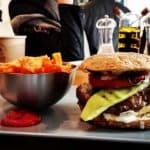 They have monounsaturated fats as opposed to the saturated fats in dairy cream. It can, therefore, lower cholesterol levels in the body and aid in weight loss. Cashews are also high in ; potassium, magnesium, and calcium which are vital for healthy bones. This soup can also help the body fight inflammation due to its rich anti-inflammatory qualities. The creamy butternut squash has ; cashew cream, celery, carrots, and spices . For your information,all these ingredients are also good for health.Your body needs them to function well. It is even more delicious to enjoy during the cold weather and also during thanks giving. It can thus complement very well with other dishes. To make your creamy butternut soup,you can either; boil the raw butternut,bake them or use the pureed form. Whichever one you choose to use,you will get the same results. 2 cups peeled and chop butternut squash into medium pieces or use butternut squash puree. Boil on medium heat for 12-15 minutes or until the vegetables are soft. When done, turn off heat and let cool for a few minutes then add your cashew cream. Pour the puree to a cooking pot; add your spices, seasonings, and salt. Let cook for another 3 -5 minutes. Remember to occasionally stir it to prevent it from burning or sticking at the bottom of the pot. This soup can keep in the refrigerator for at least 2-days.